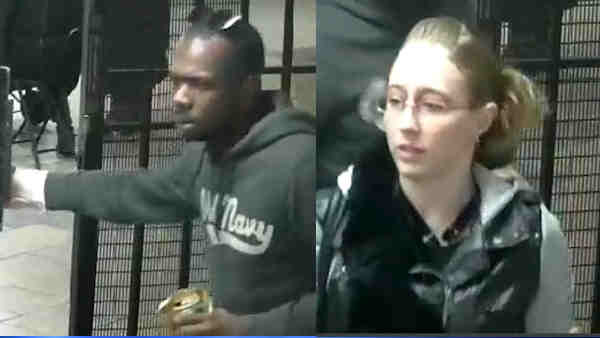 EAST HARLEM, New York (WABC) -- Police are looking for a man and a woman wanted in a home invasion robbery in East Harlem last month. At 11 p.m. Feb. 11, in the 2300 block of First Avenue, a man answered a knock on his apartment door. A man and woman standing outside said they there to conduct a survey. He let them inside and they assaulted him, according to the New York City Police Department. The victim ended up unconscious, and when he woke up hours later, he reported that a laptop, an Apple iPhone, jewelry, a watch and cash had been stolen. The victim was taken to Metropolitan hospital where he was treated for non-life threatening injuries to his head. The first suspect is described as male, black, about 30, 6 feet 1 inch tall and 200 pounds, with black hair, and brown eyes. The second suspect is described as female, white, about 30, 5 feet 3 inches and 130 pounds, with a light complexion, and brown, wavy hair.